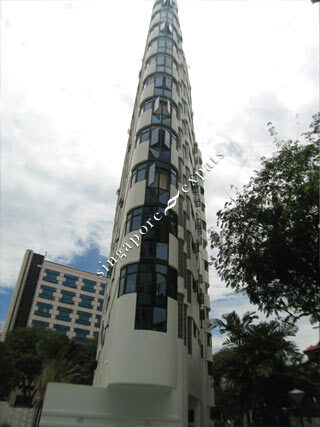 Riveria Point (also known as Riviera Point) is an small condo project located at Kim Yam Road off River Valley Road, just a few minutes away from the busy Orchard Road, it is also 10 minutes walk to the Somerset MRT station, supermarkets, nightspots, cinemas. Riveria Point is near to the popular UE Square Mall and Clarke Quay, where specialty shops, restaurants, pubs and clubs, Shop N Save supermarket, Delifrance cafe, pharmacy and restaurants are located. For the partygoers, the entertainment belt of Mohammed Sultan Road will charm you on Saturday nights. Due to its excellent location, it takes around 5 minutes to drive to Business District and about 8 to 10 minutes to walk to the Somerset MRT Station. Renovated apartments in this condo are more desirable by potential tenants. As shown in the pictures the difference between a renovated unit and the original one.